Ger has been employed as AACPI's National Director since April 2014. 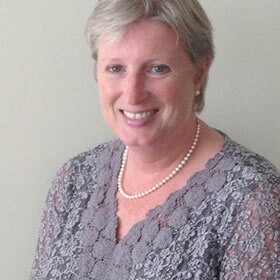 She has had many years experience working in Management within the Community Based Counselling Sector. 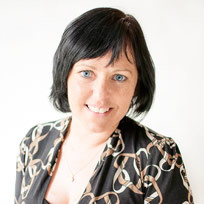 She has been working as an accredited psychotherapist for 14 years and maintains a private practice in Slane. She also works as an accredited clinical supervisor with psychotherapists and works as a tutor in the field of psychotherapy.She works has done further training in the areas of Trauma and Developmental Trauma with the Sensorimotor Institute in Boulder Colorado. 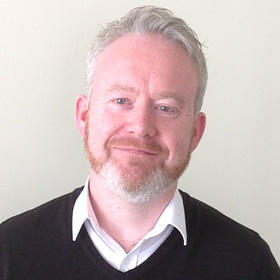 Joseph Enright is a graduate of the Cork Counselling Centre and Training Institute. He is a member of the team in the Cork Counselling Centre and Training Institute and works there as a Counsellor and Trainer. Joseph is also Head of the Foundation course in Counselling skills in the centre. He is also very actively involved in the Fundraising committee in the centre and has successfully headed many fundraising events. Joseph joined the board of AACPI in May 2013 and he is enjoying being part of the board and the important work it is trying to achieve. He was elected as Treasurer of the AACPI board in July 2015. Joseph looks forward to the continued growth of AACPI and to supporting the agencies it represents in the crucial work they are providing to communities in Ireland. Joseph has a particular interest in attachment studies and relational development. He believes very strongly and is committed to continued personal development within the counselling profession. Joseph believes strongly in social justice and equality for all. 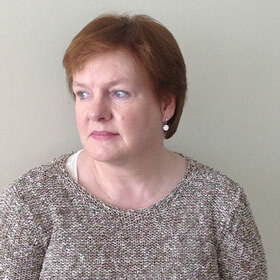 Marian Keigher, Director of Services Vita House Family centre, Roscommon. Marian has worked in Vita House since 2011. She is a Registered Family Therapist from the Clanwilliam Institute and a professionally qualified Social Worker. She worked previously in the HSE West and Brothers of Charity, Roscommon. Maura Callaghan, Director of Counselling & Psychotherapy at the Boyle Counselling & Psychotherapy Centre, Family Life Centre, Boyle. Maura is an IACP accredited psychotherapist. She trained at Turning Point/DCU and PCI College for post graduate studies. She has a wide range of experience having worked in nursing, administration, domestic violence service, counselling and psychotherapy since 2004. She took over her present role in her organisation in January 2014. She is a member of the Board of AACPI since 2013. 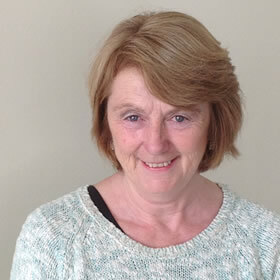 Máire Ní Dhomhnaill is a Gestalt Therapist, a member of IACP and has worked as a counsellor in the Family Centre, Castlebar, Co. Mayo since 2002. In that time she has gained a wealth of experience working with all issues presented by clients. She always had an interest in supporting the suicide bereaved through therapy individually, within families or in a group. Since 2011 Máire coordinated and was the Liaison person for The Mayo Suicide Bereavement Liaison Service. This is a post-vention service which supports those who are bereaved by suicide. Máire took the lead role in developing a protocol for Mayo agencies “Responding to a Suicide”. The Mayo Suicide Bereavement Liaison Service Model was evaluated by Dublin City University in 2015 and shown to be an effective model of working. She works closely with many agencies in the county and at National Level in suicide prevention, post-vention and positive mental health. Máire began her career in teaching and gained 20 years’ experience in disability services at every level including senior management. She was appointed Director of the Family Centre in July 2017 and appointed to AACPI board in September 2017.